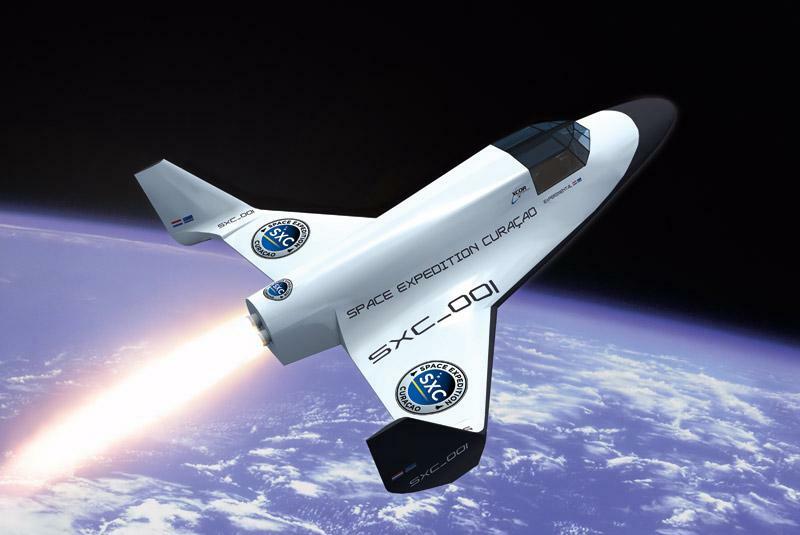 X-COR…The Age of Space Flights is about to begin! In the past decade, a new crop of wealthy investors have aimed their sights skyward, with visions of sending tourists into space on privately built spaceships and mining asteroids for rare metals. They believe that if the final frontier is to be truly explored, it will be done through the private sector. Gov. Pete Ricketts is one of them. The Nebraska Republican has invested in several high-risk space companies that are sprouting up on California’s Mojave Desert with warp-drive speed. One company Ricketts is backing is XCOR, a leader in the race to send a paying customer into suborbit for $95,000 a trip. Ricketts also has put his checkbook behind a far-out enterprise known as Planetary Resources. This Redmond-based company has the bold vision — some say unrealistic sci-fi dream — of mining asteroids for platinum or using them as fueling stations for spaceships. Ricketts said he has always been interested in space. He’s a big “Star Trek” fan who read science fiction novels as a child. And he believes that the race to commercialize space will fuel new technologies and opportunities for the human race that can’t even be imagined today. “It’s difficult now, with today’s technology, but someday it will not be far-fetched,” Ricketts said. He might look a little like Capt. Jean-Luc Picard, but he said he’s more like Mr. Spock when it comes to using hard-nosed logic to choose his investments. Ricketts acknowledges that his “excitement” about space fuels his space investments, but at the end of the day, he said, he expects to see a profit. All the companies he has invested in are actively working on projects. That includes Planetary Resources, which is working to put a satellite into space to track asteroids. Ricketts is not alone in boldly putting his money where few have gone before. The list of people backing these high-risk startup companies reads like a Who’s Who of this generation’s entrepreneurial stars. Many of them made their wealth in tech-driven companies; such is the case with Ricketts, whose father, Joe, founded TD Ameritrade, the first online brokerage firm. Elon Musk, the co-founder of PayPal, is one of the leaders of the pack. Musk founded SpaceX, which currently has a contract to transport cargo for NASA to the International Space Station using SpaceX rockets. Musk believes it is mankind’s destiny to colonize Mars, and his goal is to have space boots on the red planet by 2024. Other notable space entrepreneurs include British billionaire Richard Branson. He founded Virgin Galactic, one of XCOR’s leading competitors to send tourists into space. Branson also has invested in Planetary Resources — remember, that’s the asteroid mining company. And then there is Jeff Bezos. The Amazon founder has set up Blue Origin, another aerospace company seeking to build a rocket. The long-term goal is to explore space, but Ricketts and others note that the technologies being developed could be used on Earth in a multitude of ways. For example, a trip from Nebraska to Australia could take less than three hours someday via a spaceship that would go into space from Omaha and come down in Sydney rather than circle the globe. Many investors in the space race made their money during the dot.com boom and now have the cash and the time to turn their attention to space, said Brian Berger, editor of SpaceNews.Com. “They’re looking for something exciting to invest in. Something that they believe can be transformative for the human species,” Berger said. Ricketts acknowledged that his investment is fueled by a sense of adventure, but he said he is not in the same league as Branson or Bezos when it comes to the bottom line. “Richard Branson has invested hundreds of millions of dollars. … I have not invested that much,” Ricketts said. Ricketts said he does not know exactly how much he has invested, but said it wasn’t a big part of his overall investments. “I haven’t totaled it up entirely. If I was going to give you just a guess, an overall percentage of my portfolio would be less than 1 percent,” Ricketts said. As for his net worth, the governor did not give specifics, although in 2006 he estimated it as between $45 million and $50 million. Wealth is a requirement for investing in space, in large part because the ventures are high-risk with no guarantee of a payout, said Marco Rubin, founder of Exoventure, a venture capital company based in Falls Church, Virginia. “It is a very elite subset of investors who have had certain financial success but are passionate believers in the sector,” he said. Not everyone is required to invest millions, however. If you have $25,000 to $50,000 to spare, you can invest via the Space Angel Network, which bundles investments to make it more affordable for the “average investors,” said Rubin, who served as an adviser in developing the network. It might be high-risk, but it comes with potentially high rewards, Rubin noted, especially on technology being developed that can be put to use here on Earth. “There is the potential for very shrewd business people to make money on this,” he said. Obviously Ricketts is not banking entirely on space. He noted that he has a diverse portfolio. In addition to his space investments, Ricketts has put money into a drone-manufacturing company, a skin-care company and numerous foreign investments. Most notably Ricketts has invested in Schulze Global Investments, a private equity company started by Gabriel Schulze. Schulze, the scion of a mining family, specializes in investments in developing nations. As part of that, Ricketts has invested in a cement company in Ethiopia and mining enterprises in Mongolia. “Not only do the investors make money … but we also help develop the infrastructure of developing nations,” Ricketts said. It all fits into Ricketts’ belief that the private sector is the best vehicle to create jobs — and explore space. For years, space exploration was the province of governments. Today, NASA and others are relying more and more on private companies to help lead the way. NASA has not only contracted with a private company to supply the International Space Station but is also working with private companies — such as Moon Express — to develop a lunar landing vehicle. Moon Express and others hope to mine the moon with robots some day. “I think the future of space development lies with the private side. As you think about government budgets, those budgets are getting squeezed time and time again,” Ricketts said. As for whether he has hopes of traveling to space, Ricketts demurred.